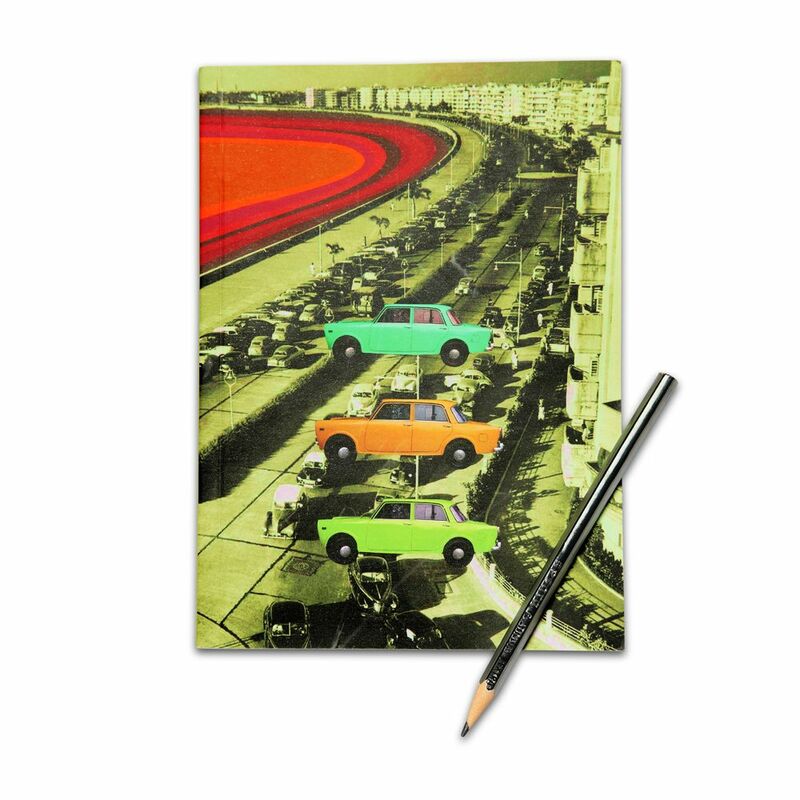 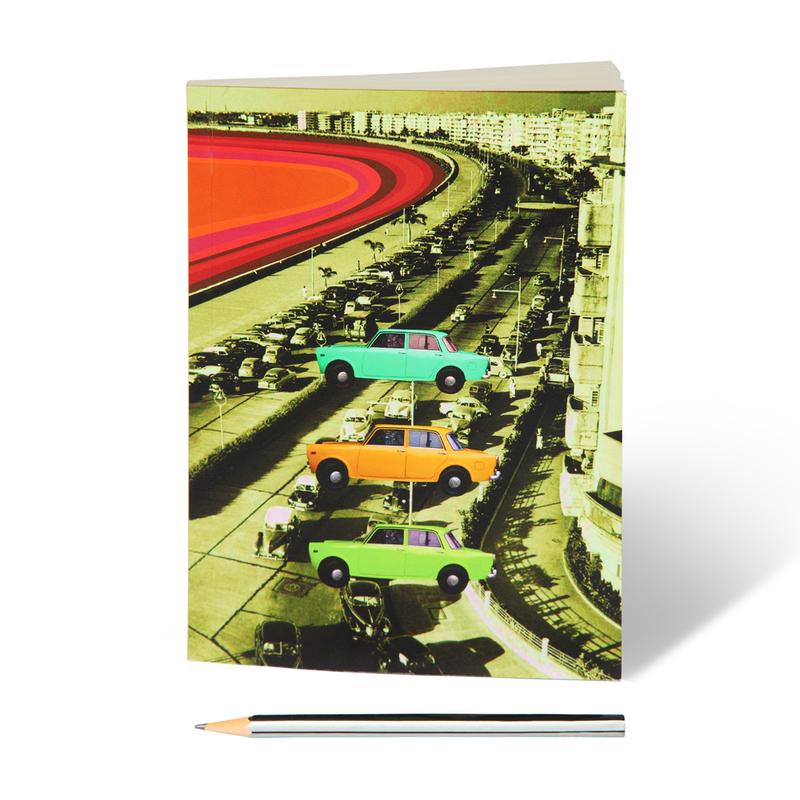 This Notebook shows the busy streets of Mumbai, along with the classic Fiat cars that are ready to hit the road. 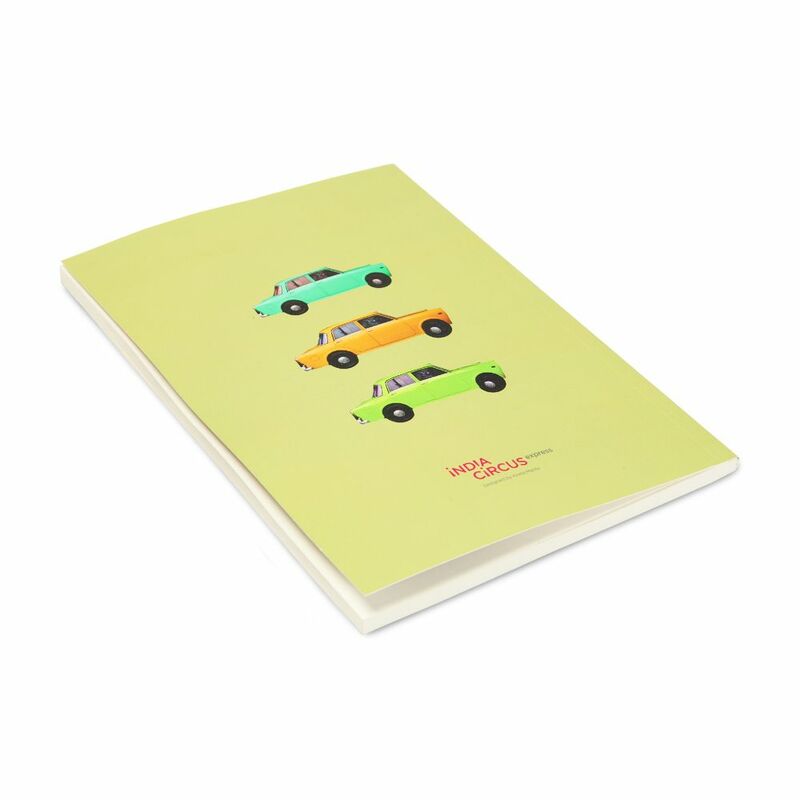 The back of the notebook has three Fiat cars, parked and waiting. 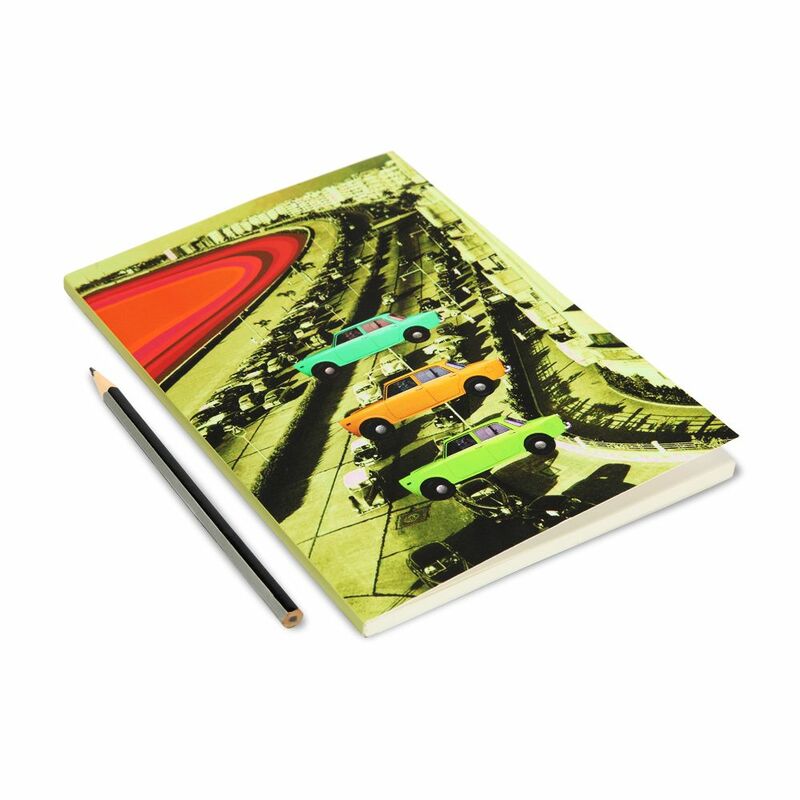 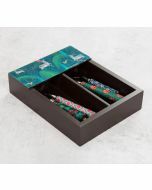 Each softbound notebook has 100 unruled pages.